Dates & Times: Monday, May 18, 2015 11:30 a.m. 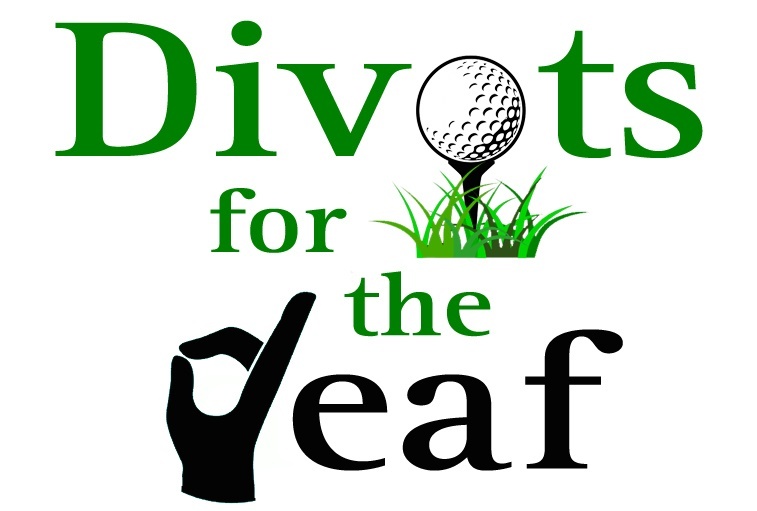 Please join us for the Florida Executive Realty Divots for the Deaf Charity Golf Tournament to benefit Hillsborough and Pinellas County’s Deaf and Hard of Hearing Community on May 18, 2015. Tee off is 1:00pm, lunch & fun starts at 11:30am. This event promises to be a memorable one, and one that will far exceed the entry fee to play in the event. CLICK HERE to be directed to the event online registration page that also contains information about the event. Gold – $1,000 (1) NEW! The Gold Sponsor of this event will have golf balls printed with your logo and sponsor this contest. You will get your logo on golf balls that are given out to each player for this contest. You will be the Sponsor of this one-of-a-kind Magic Ball Contest (Announced at the Putting Green). In addition you will have your logo and copy on a 18×24 sign, logo on banners, advertising materials, signage on course, and can supply materials for goodie cooler. Silver – $1,000 (2) NEW! The Silver Sponsors of this event will have these major items included: Course signage and 1 foursome each. You will be the Sponsor of one of our Major Contests being played on the course. It will be our “Guess the Distance” or “Bubba Drive” on selected holes. In addition you will have your logo and copy on a 18×24 sign, logo on banners, advertising materials, signage on course, and can supply materials for goodie cooler. There are 4 available. Sponsor will have one Par 3 signage. In addition you will have your logo and copy on banners, advertising materials, signage on course, and can supply materials for goodie cooler. Driving Range Demo Day & Contest – $600 (1) NEW! There is 1 available. The Driving Range Sponsor of this event will have these items included: Driving Range signage and registration for 2 players. There will be a Major Club Manufacturer displaying their clubs and allowing players to try there clubs out. In addition, you will have your logo and copy exposure everywhere, logo on banners, advertising materials, signage on course, and can supply materials for goodie cooler. Sponsor can run a driving range game if desired and have a small table to display wares and greet golfers from 11:30am to 1:00pm. The Long Drive Sponsor of this event will have signage on one of the Par 5s in the fairway to mark the long drive! There will be Prizes for winners and Sponsor mention. Great exposure to all golfers. In addition, you will have your logo and copy exposure everywhere, logo on banners, advertising materials, and can supply materials for goodie cooler. Best Value for Logo & Players. We will have a professional photography group on site for group and individual pictures. Photography Sponsor items include: Registration for Two playing spots, your logo on each group picture, logo on a banner, advertising materials, signage on course, and can hand out materials at course. Hole-in-One Contests – $400 (4) – NEW! There are 4 available. The Hole-in-One Sponsor of this event will have signage on one of the Par 3s and will be the co-sponsor for a car or $10k giveaway! Great exposure to all golfers. In addition you will have logo on banners, advertising materials, and can supply materials for goodie cooler. A small table to display wares and greet golfers on Par 3s is possible. This is a fun game and involves the player and the sponsor on all Par 3s. If there is a Hole-in-One then even more exposure!! BEST VALUE FOR Business GOLFERS! There are 10 available. The All-in-One Sponsor of this event will have these major items included: Course signage and registration for 1 foursome. In addition, you will have your logo and copy on a 18×24 sign, exposure everywhere, logo on banners, advertising materials, and can supply materials for goodie cooler. This is only $75.00 more for a foursome and you get a sign and so much more! Tee & Pin Sponsor – $150 (18) NEW with Pin Flag and Hole Sign! There are 18 spots available. 18 tee boxes in high traffic area by tee boxes. You will have a Pin Flag with your logo and can keep it after the golf so you can get it signed by athletes/your team! The sponsor of this event will also have their logo and copy on a 18×24 sign and placed on a tee box, logo on banners, advertising materials, and can supply materials for goodie cooler. Blossom Montessori School for the Deaf-Winner of $100,000 in technology!